Sterling’s decision to host a Seder on the fifth night of Passover, which lasts for eight days, was inspired by the Seder Hamishi, a ritual adapted by medieval Jews in Spain, Portugal, and Italy, who had been forced to convert to Christianity during the Inquisition. Why is this night at Vic’s, an Italian restaurant in downtown Manhattan, different from other nights? The bartenders are mixing Manischewitz spritzes as well as the usual Aperol ones. With the addition of the syrupy Concord grape wine, they taste like kir royales. There’s a plate of blistered wood-oven-baked matzo on the pass right next to an order of ravioli. Alongside the regular Italian menu, diners can order off a slip of paper that reads “Fifth-Night Seder,” which offers, among other things, a Seder plate, tzimmes, chicken liver, and kugel. But what comes to the table are not your typical Passover foods. 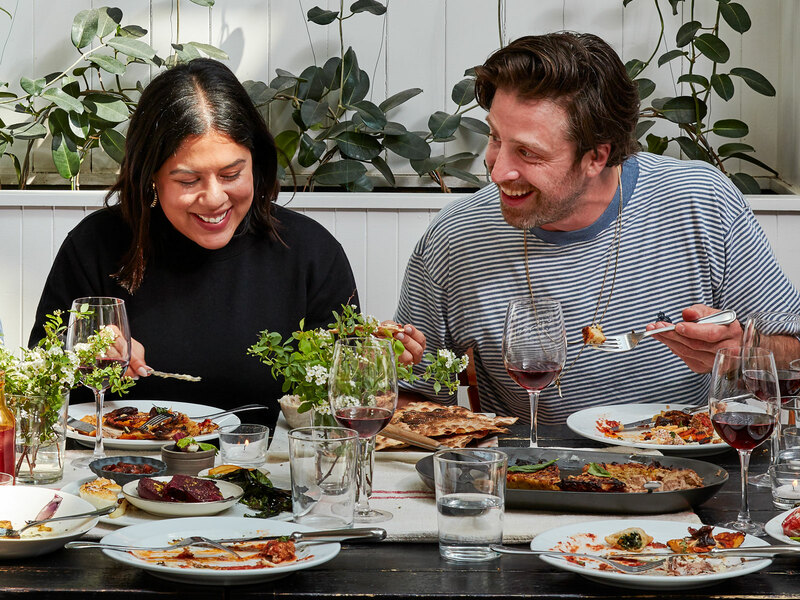 Chef Hillary Sterling, who initiated this alternative holiday meal several years ago, uses tradition as a jumping-off point. Her Seder plate, for instance, embraces the symbolism of the ritual Passover centerpiece, but consists of nibbles that are meant to be eaten and relished. The haroset, a stand-in for the mortar used by Jewish slaves in Egypt, whose suffering and emancipation are at the center of the Passover story, is usually a mash of apples, red wine, cinnamon, and walnuts. In Sterling’s hands, it’s a vibrant pink compote of stewed rhubarb with sherry-soaked prunes, red wine, almonds, and hazelnuts. One bite of her outrageously delicious roasted egg with pecorino—a swap for the plain hard-boiled egg on most Seder plates—may have ruined me for all others. Sterling’s decision to host a Seder on the fifth night of Passover, which lasts for eight days, was inspired by the Seder Hamishi (hamesh means “five” in Hebrew), a ritual adapted by medieval Jews in Spain, Portugal, and Italy, who had been forced to convert to Christianity during the Inquisition. By celebrating on the fifth night rather than the first or second, when most Seders take place, these crypto-Jews hoped to escape scrutiny and persecution. 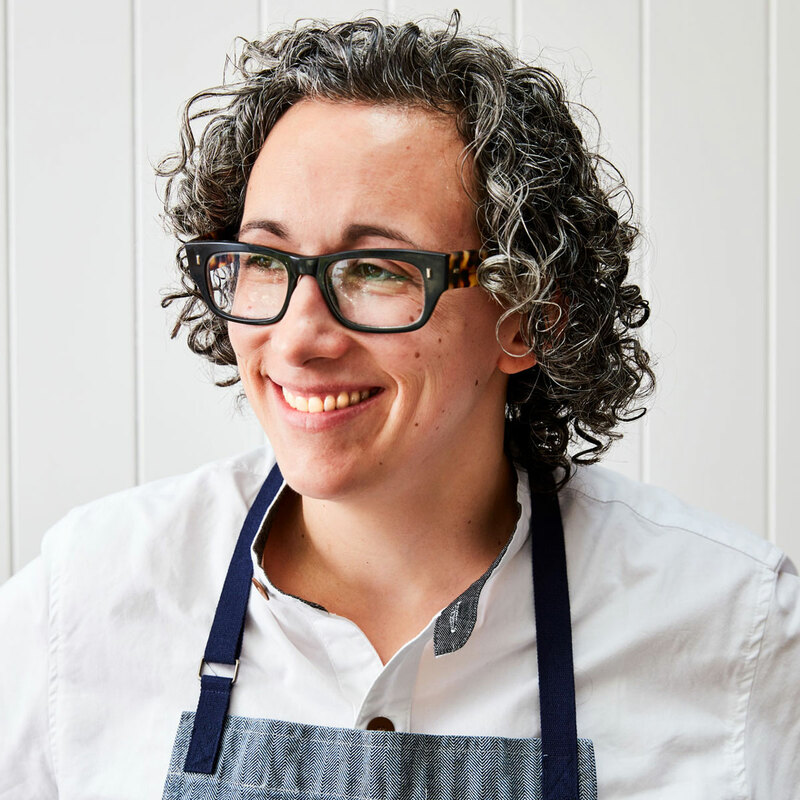 Each year, Sterling, who herself is Jewish and grew up in Brooklyn, looks for menu inspiration in Italian-Jewish gastronomy. This year, she focused on Ferrara, a city in Emilia-Romagna with a rich Jewish history that dates back to the early Middle Ages. This is how tzimmes, an Ashkenazi Jewish dish of cooked carrots with prunes, became a farinata, a chickpea flour pancake typical of Ferrara, enriched with carrot juice, roasted carrots, prunes, and chile butter. And the requisite brisket? It appears as brisket meatballs. “Everyone makes brisket [for Passover], and the Italians make polpette, so why not bring them together?” says Sterling.